Rebranding is one of the most difficult brand strategies to pull off successfully. Many try, many fail. To help marketers better understand when a rebrand is prudent, we asked the Branding Strategy Insider team to share their views. Rebranding initiatives are typically driven by a need to reignite sluggish performance, capitalize on a new positioning or highlight the arrival of a post-M&A brand. In many cases the focus of these initiatives is external and therefore marketers look to rebrand for maximum impact among customers, prospects, partners and suppliers. While these audiences are crucial, too little attention is often given to the key internal audience – employees. Rebranding offers two significant opportunities to galvanize employees. One, the sheer visibility of a rebranding can generate excitement and interest internally. Two, and this is a larger and more considered opportunity, a rebranding can create an environment to re-evaluate the organization’s culture and the possibility to move it in a new direction. Initiating a culture change should always be underpinned by a genuine strategic need and a rebranding can provide that legitimate opportunity. To be effective leaders must go deeper than making cosmetic changes during a rebranding. By grasping the fuller opportunity to re-evaluate, inspire and galvanize the employees with a cultural re-set, the true possibilities of a rebranding can be realized. Repositioning used to happen when brands wanted to fit a new era they were entering, usually through a logo upgrade or a new audio jingle that updated their look and feel. Repositioning usually meant the same products and services from the brand, possibly issued in new packaging or in new formats. In rebranding, the brand is literally offering new solutions, products and services that don’t fit their past identity. They may be entering entirely new verticals. 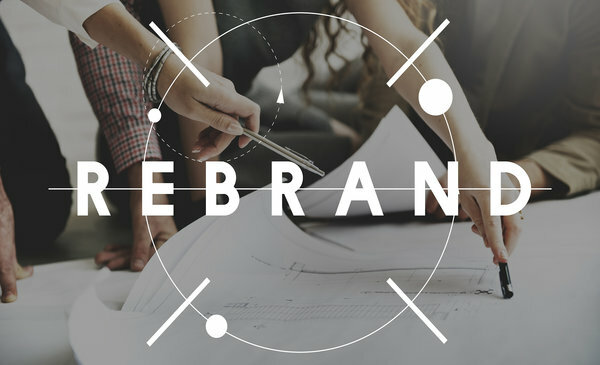 A rebrand usually comes at a point that a brand has new products, services and solutions or is entering ambiguous territory where the original brand doesn’t resonate and it’s about to issue new products and services. Many of these rebranding updates now come as a result of new executive leadership, new services and new product lines. In a world where communication has been leveled to 140 character tweets and 5 second video snippets, how a brand garners attention, even among its own loyal fans, is a new art form. In the disruptive brand world, even negative sentiment around a rebrand can capture enough attention from people to the point where many may even be prompted to ask, “What is that brand,” “What is that brand up to?” or “What is that brand doing?” In the past we may have thought negatively if people asked these questions, but in our present and future always-on, non-loyal, momentary world, rebranding can do wonders to wake up current and potential customers from the paradox of choice stupor and light up awareness in ways that simple repositioning cannot. Successful rebrands reflect the fundamental nature of the way a brand does business. If rebranding does not accurately communicate this, in time the brand will be unmasked and the true inner-workings of the business will be revealed. To their credit and shame BP provides a textbook case where both rebranding and repositioning were brilliantly conceived and executed. It’s worth retelling for those considering a rebrand. British Petroleum recognized the opportunity to be the world’s first environmentally friendly fossil fuels brand brand. The world was eager to embrace such a brand that was now actively “exploring new ways to live without oil” and BP appeared to have the strategic intent and capability to bring that vision to life. British Petroleum was redefined as Beyond Petroleum, and in time research confirmed that consumers had indeed become believers. Landor’s own brand research revealed that BP was seen as the most environmental fossil fuels brand, with more than half the market agreeing that it had become “more green”. BP’s brand awareness shot up from 4% in 2000 to 67% in 2007. But then their negligence caused the loss of human life and an environmental crisis that revealed the thin veil between what they were saying about themselves and the truth, and BP’s brand achievements quickly plummeted. The learning here is that rebrands must be strictly guided by an honest self-assessment. In the end, the truth will prevail. The truth will anchor or sink your success. A rebrand marks the end of the brand as it was. It’s a walk away from everything you were, and as such, should be reserved for situations when you want to disassociate your brand from its current reputation. It should not be confused with a brand positioning, where you rework the current brand to make it more competitive, or a brand refresh, where you adjust the brand code to pursue new opportunities. To pull off such a disruptive decision, you need to go ‘all-in’. You need to relaunch with a fundamentally different brand DNA, probably a new business model and a reworked brand culture. You also need to explain clearly to the market why you’ve changed, what you’ve changed to and how they will see this manifest for them. Be very clear about the customer benefits of the rebrand, not just your reasons and keep those front-of-mind throughout the rebranding process. The decision to rebrand is a lot bigger, more involved and more risky than ongoing refreshment. You should only seriously look at such a radical step if the story that your brand has told is no longer valuable, if the goals for the change are very clear and if the rebrand itself is accompanied by significant changes across the business and the culture that put you in a position of unprecedented advantage. Finally, be patient. Rebranding is something that should be done with the wider business and with an unwavering eye on the business strategy going forward. Take the time to include, consult and decide. The excitement of rebranding should always be overshadowed by the responsibility of getting it right. Finally, and perhaps most importantly of all, rebrand within timeframes and market conditions that give you the greatest degree of control. Attempting to do this while the business is rapidly declining or the market is in recession will only add further pressure to a process that requires big decisions and has major implications. Appearances are just that. Meaningless really, unless they’re an authentic reflection of what’s behind the new look: a new mission, an altered or expanded strategy, or a change in corporate ownership or merger, just to mention a few. “Changing your colors” does not a rebranding make, even though an identity change in itself can be a massive and complex process. Graphics are only one part (though an important part to be sure) of what makes a brand unique, valued and meaningful to its customers. They should be a signal of what has happened, not the sum of all that has happened. As a consultant I failed the first big global client I ever worked for. I failed because I did not advise them to do something I have come to see as vital to successful corporate rebranding: build a brand team. Not a team of marketing people and the ad agency, but a true cross-functional team that draws on senior people from manufacturing, HR, sales and the board of directors. It should include internal heroes who are widely respected and who know how the culture and politics of the firm actually work. Different egos and interests all collide around the corporate brand and this can make brand development more complex. However, it is better to discover and resolve these divergent views as part of the branding process than have them emerge after the brand has been developed and communicated to key stakeholders. If you ever find yourself presenting the ‘new’ corporate brand to senior managers, you have already failed. Branding should be an inclusive, engaged process. If senior management feels that they have been consulted and involved in a rebranding, they are more likely to apply the new brand strategy and will embolden the initiative with a credibility often lacking in the marketing department. Get all of the egos on board early and often. The Blake Project Can Help: Please email us for more about our rebranding expertise.